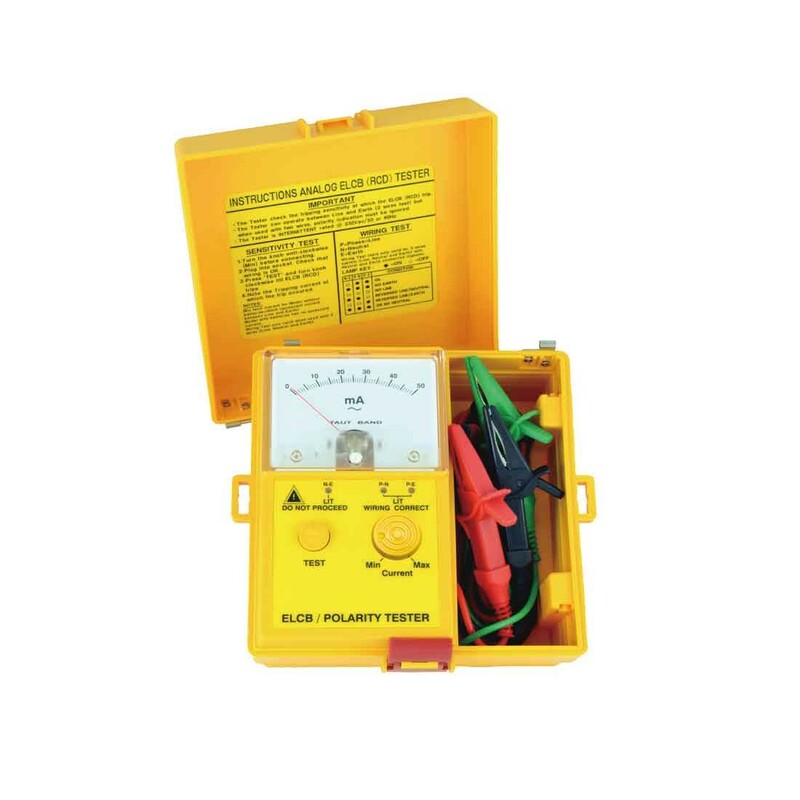 Analog taut band movement provides an accurate means to test two wire and three wire earth leakage, residual current, or ground faults. Automatically senses 50 or 60Hz based on current. Includes: three sets of test leads with large alligator clips for a secure connection, manual, and shoulder belt.